Since version 5.7.9279 Docotic.Pdf can extract text from PDFs when running in AWS Lambda environment. This is true for PDFs with both embedded and non-embedded fonts. To make this possible, we added ability to use custom font loader for non-embedded fonts. 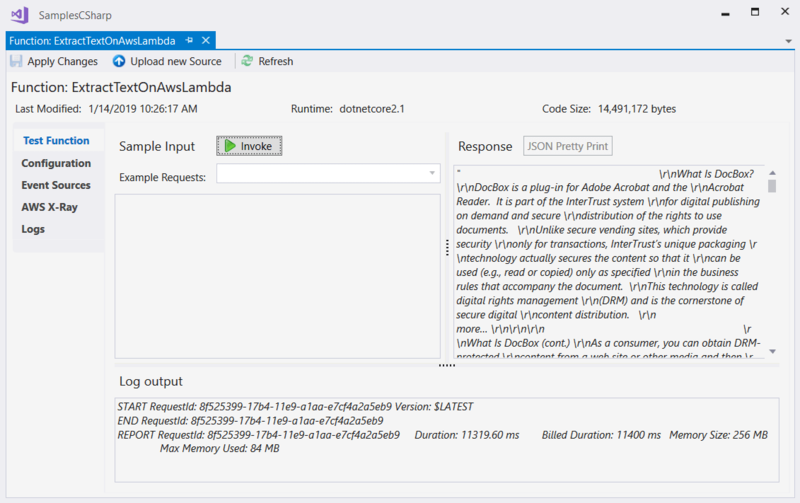 Let’s make a simple .NET Core application that extracts text from a PDF document and publish it to AWS Lambda. 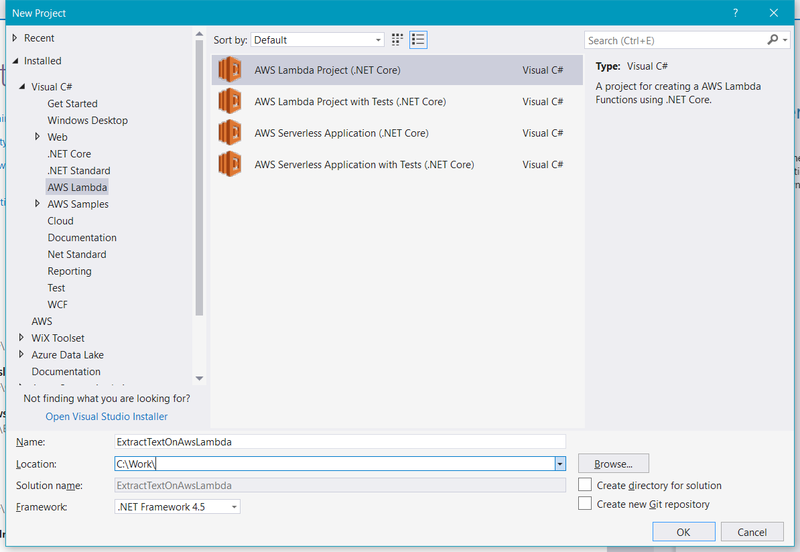 In Visual Studio choose “AWS Lambda Project (.NET Core)” project template from “Visual C# -> AWS Lambda” group. 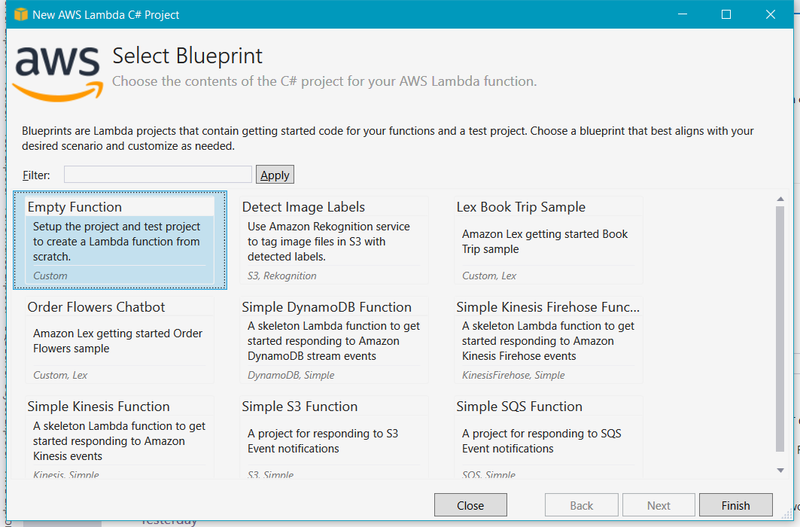 Choose “Empty function” in the “Select Blueprint” popup. 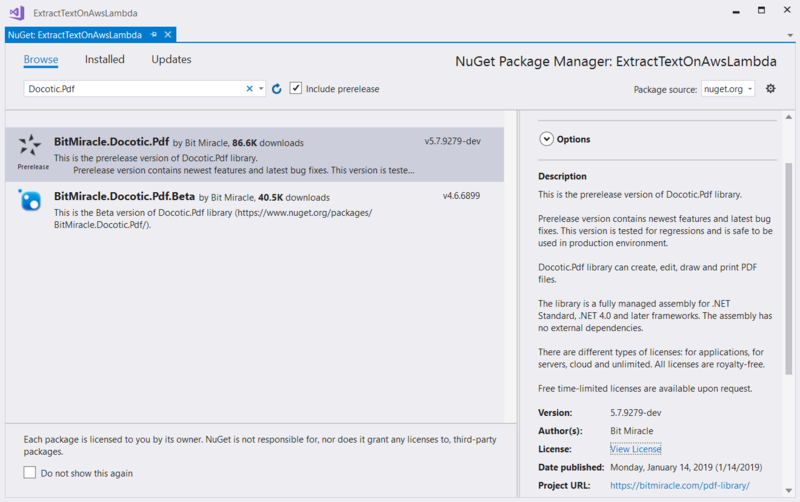 Add Docotic.Pdf NuGet package. You should select 5.7.9279-dev version (from prerelease channel) or newer. Add some PDF document with non-embedded TrueType/OpenType fonts to the project. For example, you can use this document. Set “Copy to Output Directory” property for the PDF document to “Copy always”. // When used in trial mode, the library imposes some restrictions. Replace “Attachments.pdf” with the name of the PDF file you actually use. Docotic.Pdf uses GdiFontLoader class by default. However, GDI+ is not installed on AWS Lambda. Because of this GdiFontLoader.Load method always throw TypeInitializationException when code runs in AWS Lambda environment. That is why we use custom font loader in the code above. DirectoryFontLoader class scans the specified directories and loads font bytes. In this sample we use shared Linux fonts. Alternatively, you can deploy some common fonts with your application and point DirectoryFontLoader to them. 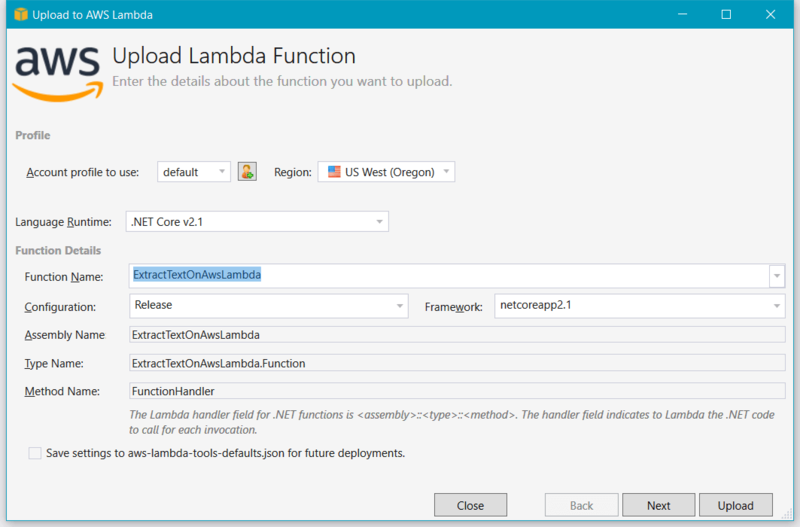 In the “Upload Lambda Function” input the name of your function. Then click “Upload”. Complete project for this article is available on GitHub.